Pasta, endives and ground meatBy NoemieYou have a perfect complete meal with that recipe. 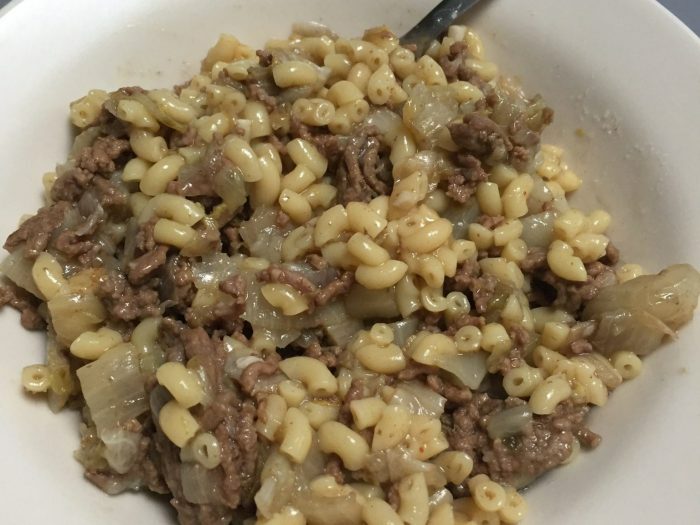 You mix some pasta with endives and ground meat before serving it. 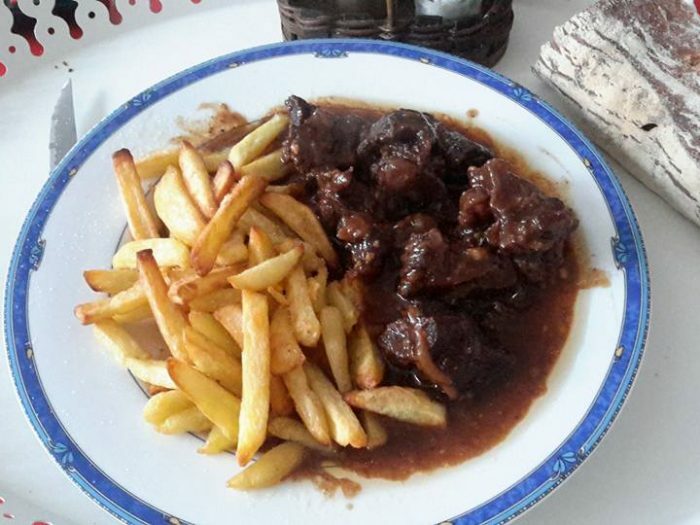 A good sturdy dish for the cold winter days. Endives casserole with honey, soy sauce and orangeBy NoemieYou can also cook endives with some sweet ingredients. 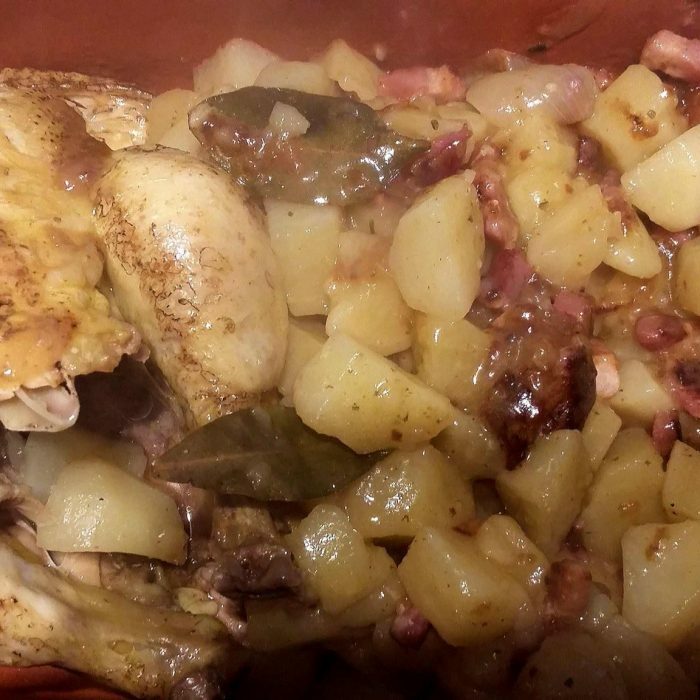 It will serve well as a light supper or accompany some meat or fish. Share the dish with your friend. 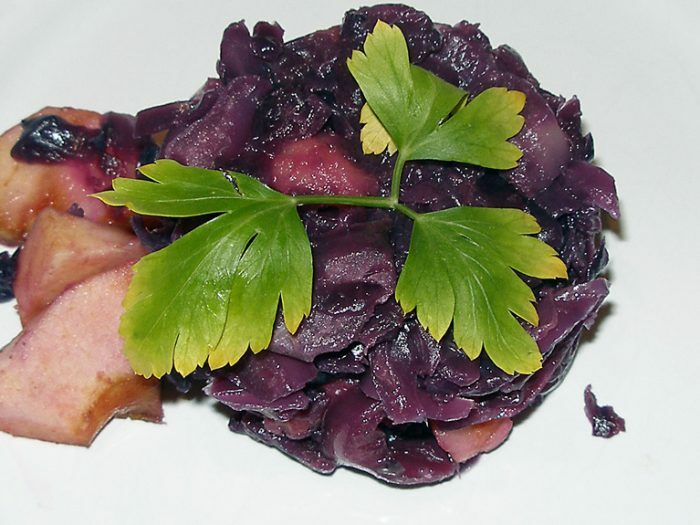 Red cabbage with apple and baconBy NoemieThis is an easy and simple recipe with red cabbage mixed up with some apple and wine. It will accompany well some meat or fish. You may also have it as a light supper. Red cabbageBy NoemieRed cabbage is very popular with wild meat. You can also eat it raw on good slaw salad. In that dish, you simply mix it up spices and onions. You can serve it alone or with some meat.